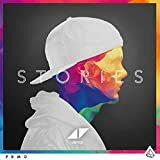 Avicii hat soooooo geile Lieder!!!!!! BTW he sings to come around not "To cover on"
Dort wo steht "bang the stars its friday" ist ein fehler muesste heissen "THANK the stars its friday"
(Wo ein wille ist ist auch ein weg)!!!! The [?] is: "For every tyrant a tear for the vulnerable"